About This Offer : If you upgrade your paytm wallet then you will get Rs 100 in Paytm Wallet. 1.You can get instant high value cashback on your shopping. 2.If you don't have an upgraded paytm wallet then you can transaction worth 1000 per month.But in upgraded paytm wallet you can transact 1LAKH in a month. 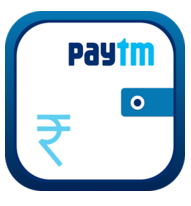 3.You get access to a range of fantastic offers from paytm with attractive paytm cash. 2.Choose a mode from which medium "Visit Our Centers" Or "Request a Pick Up",you can sumbit your documents. 3.If you choose submit documents mode as Request a Pick Up then Select Address from where you want the douuments to be picked. Reach Paytm Center With Above mentioned documents between 10Am to 5Am along with two passport size photo.